Average widths in our quartered white and red oak are approximately 6” – 6-1/2” and our rift boards average between 5” – 5-12”. The “upper” grade of quartersawn white and red oak is Select and Better (4” x 6’ minimum). We also separate rift from quartered in lower grades: #1 Com (3” x 4’ minimum at 66 2/3% clear) and #2 Common (3” x 4’ minimum at 50% clear). Availability is usually very good for all grades in 4/4, 5/4, 6/4, 7/4 and 8/4. Lengths run between 6’ and 12’, with small amounts of 13’ – 14’ available occasionally. Along with its primary products, quartersawn white and red oak, Frank Miller Lumber produces smaller quantities of quartersawn cherry, hard maple, and walnut. One of the most important things to remember when specifying all quartersawn lumber is that there are limitations to the width of the boards that you can specify. Because the log is quartered before boards are cut from it, quartersawn boards are narrower, given the same size tree one might cut into plainsawn lumber. “Quartered” exhibits flake in 80% of the board, and “Rift,” shows less than 80% flake. “Rift” is simply less figured “Quartered,” while maintaining the same straight grain appearance as Quartered. Note that only the oaks are separated in this way. Cherry, hard maple and walnut have very small medullary Rays and when quartersawn these species are not separated between “Quartered” and “Rift”. They are sold as “quartersawn” and share the straight-grained appearance of all quartersawn lumber. 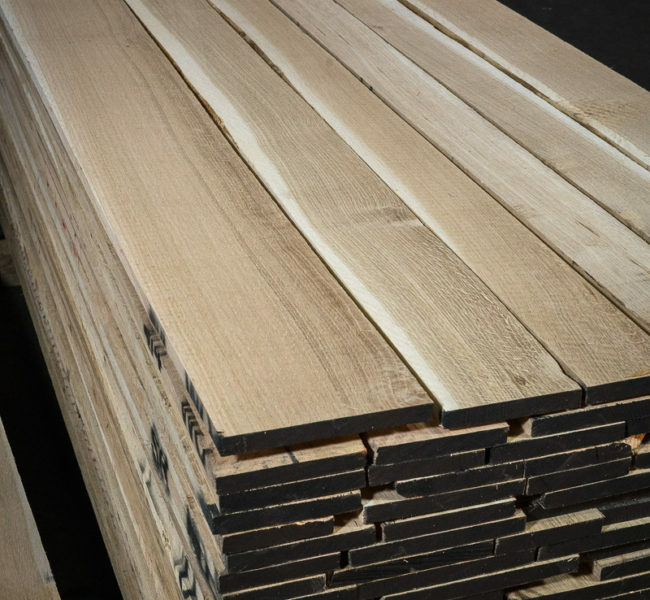 Quartersawn white oak is the highest volume species produced by Frank Miller Lumber, yet supply can vary a great deal over the course of a year due to demand fluctuations. 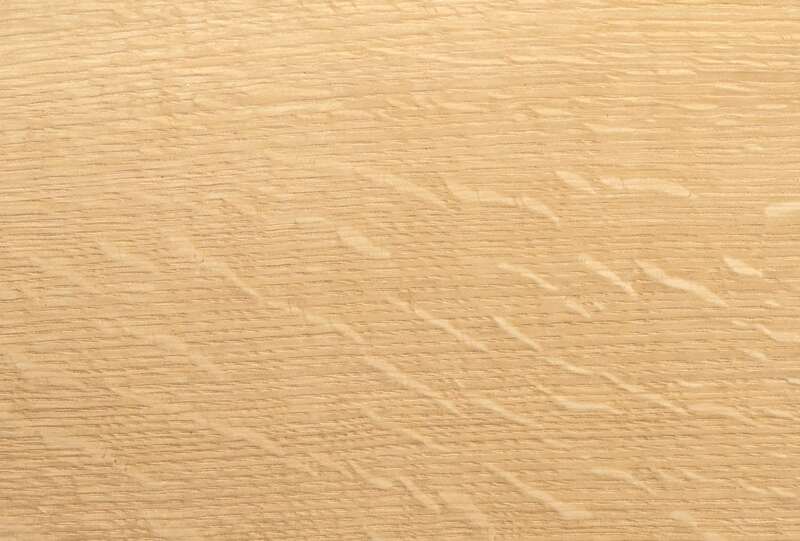 White oak is non-porous, which allows it to be used in building wine and whiskey barrels as well as boats. The difference is that white oak has “tyloses” in its vascular cells, which effectively seal the cells as the tree grows. Its straight grain will restrict its shrinkage to the thickness of the board as opposed to width. This also minimizes warping and cupping, making it an ideal flooring, cabinetry, millwork and furniture material. 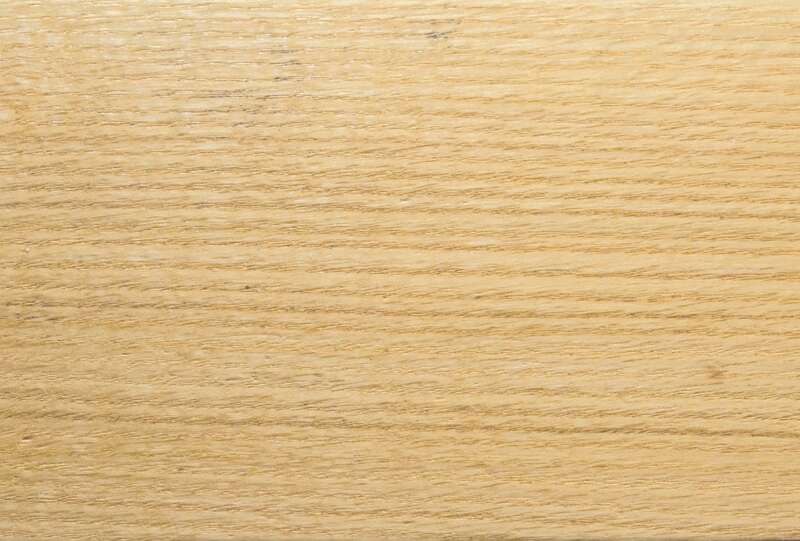 Quartered and rift white oak are used in flooring, cabinetry, millwork or furniture, but rift is used where a subtler appearance is desired. Lengths are typically between 4 ft and 12 ft (depending on grade), and widths are between 4 in. and 8 in. on average. Note that rift boards are typically narrower than quartered boards. The Architectural Woodwork Institute quality standards allow, in rift white and red oak, for boards wider than 4 ¼” to be edge glued for width. Ironically in such a circumstance, the straight grained appearance of the board will render the glue line imperceptible and that glue line will be the strongest part of the board. If you have questions, contact a member of our expert sales team. If you seek a less figured oak and supply in rift white oak is tight, you should consider red oak as a viable alternative. Red oak represents 35% of the American forest resource and will always be in plentiful supply with relatively modest price fluctuation over the course of a year. With the rapidly growing market for bourbon around the world, the demand for white oak has increased dramatically for building whiskey barrels. Since red oak does not have “tyloses” like white oak, wine and whiskey barrels can’t be made of red oak. Therefore, the barrel industry exerts no pressure on red oak markets. 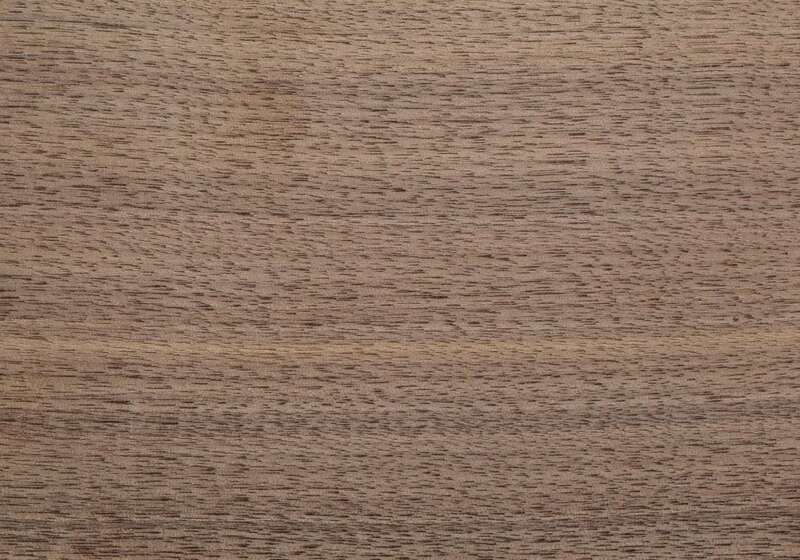 red oak has shorter medullary rays and exhibits a slightly less pronounced flake than white oak, with its longer and more pronounced rays. Often it can be difficult to tell the difference in appearance between red and white oak when finished. The ”flake” in quartered red oak, is subtler than that of white oak, yet becomes more pronounced when the wood is finished. Quartered and rift red oak are used in flooring, cabinetry, millwork or furniture, but rift is used where a subtler appearance is desired. Red oak is more porous than white oak, therefore lending itself to staining more easily. Lengths are typically between 4 ft. and 12 ft. (depending on grade), and widths are between 4 in. and 8 in. on average. Note that rift boards are typically narrower than quartered boards. The Architectural Woodwork Institute quality standards allow, in rift white and red oak, for boards wider than 4 ¼” to be edge glued for width. Ironically in such a circumstance, the straight grained appearance of the board will render the glue line imperceptible and that glue line will be the strongest part of the board. Quartersawn cherry is narrower than quartersawn oak because the logs are smaller. When cherry is quartersawn, the sap will always run along the edge of the board. Quartersawn cherry is used in flooring, cabinetry, millwork or craftsman furniture where fine figured hardwood is desired. Supply in Select and Better is usually limited, yet good quantities generally exist in #1 Com and #2 Com, as well as 6–7 ft. The 6–7 ft Select and Better quartersawn lumber is perfect for shorter, clear cuttings. 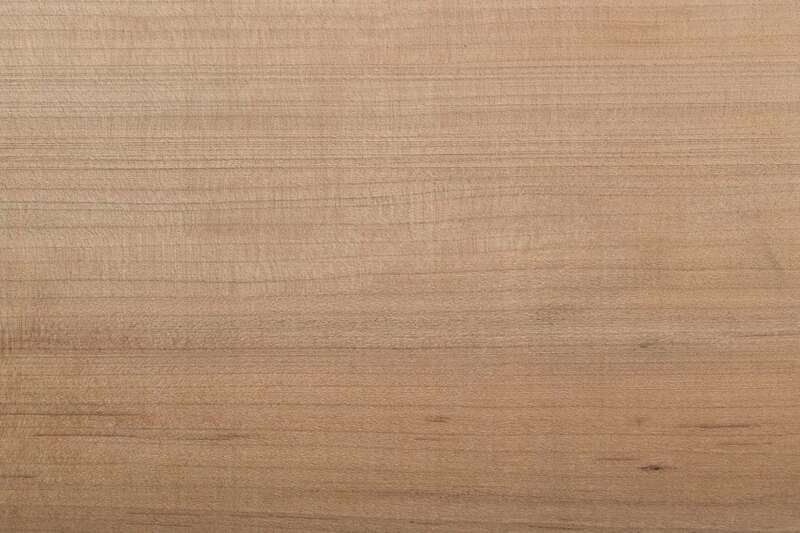 Quartersawn cherry is distinguished by its straight grain appearance. Lengths are typically between 4 ft. and 12 ft., (depending on grade). Widths are between 4 in. and 6 in. on average. The sapwood in Frank Miller Lumber’s hard maple is of a creamy hue, rather than the milky white found farther north. Quartersawn hard maple is narrower than white and red oak because the logs are typically smaller. When hard maple is quartersawn, the heart will always run along the edge of the board. Quartersawn hard maple is used in flooring, cabinetry, millwork or craftsman furniture where fine figured hardwood is desired. Supply in Select and Better is usually limited, yet good quantities generally exist in #1 Com and #2 Com, as well as 6–7 ft. The 6–7 ft. Select and Better lumber is perfect for shorter, clear cuttings. Quartersawn hard maple is distinguished by its straight grain appearance. Lengths are typically between 4 ft. and 12 ft. (depending on grade), and widths are between 4 in. and 6 in. on average. Quartersawn walnut is distinguished by its straight grain appearance. Quartersawn walnut is narrower than white and red oak because the logs are typically smaller. When walnut is quartersawn, the sap will always run along the edge of the board. Quartersawn walnut is used in flooring, cabinetry, millwork or furniture where fine figured hardwood is desired. Supply in Select and Better is usually limited, yet good quantities generally exist in #1 Com and #2 Com, as well as 6–7 ft. The 6–7 ft. Select and Better lumber is perfect for shorter, clear cuttings. Lengths are typically between 4 ft. and 12 ft. (depending on grade), and widths are between 4 in. and 6 in. on average. All Frank Miller quartersawn walnut is steamed for blended color consistency.